Take a look at a few of the most unique, Easter themed, do-it-yourself projects I’ve ever seen. If you’re like me, then you can’t wait for Easter. When I was younger, I thought that dying eggs was so cool. The only thing that could possibly trump it was the hunt that ensued in the backyard afterwards. But as I’ve gotten older, dare I say it, dying eggs has gotten a little repetitive. 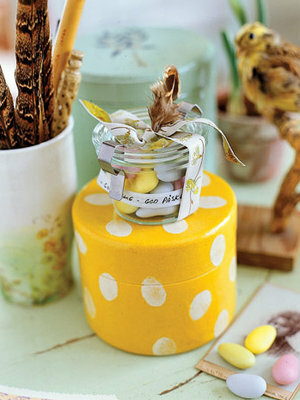 So when I stumbled upon this great article from Country Living titled, “29 Easy Easter Crafts,” I knew that it was something that needed to be shared. 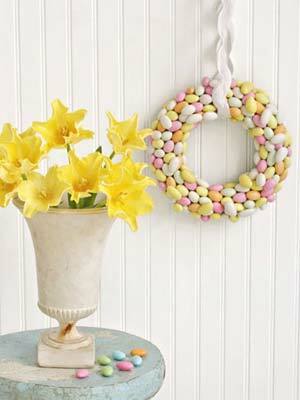 Take a look at a few of the most unique, Easter themed, do-it-yourself projects I’ve ever seen. If you live on planet Earth, chances are you’ve heard the word ombre mentioned once or twice. 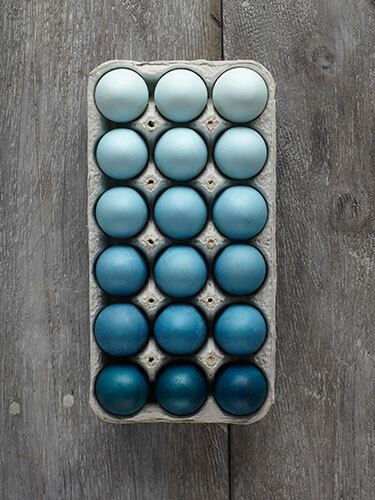 Its popularity surfaced mainly because of the ombre hairstyle, but I think I like ombre eggs better. Papier-Mâché definitely brings me back to the joys of second grade, or was it third? It may be messy but the outcome, this adorable bird’s nest, makes it all worth it. 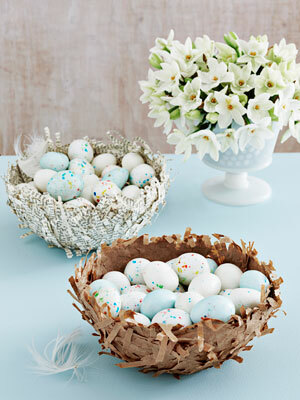 Jordan Almonds are something I grew up eating, this is a fun and affordable way put a spin on the classic candy. These small cardboard boxes can be found at any craft store. If you look closely, the eggs painted in white on the box above are actually little finger prints. Who wouldn’t love to receive such a cute customized gift, filled with their favorite treats? 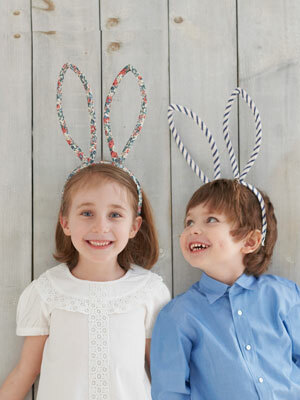 I am not ashamed to say that I would love to make a pair of these Easter bunny ears. Make enough for the whole family and take advantage of a picture perfect moment.